According to Simpplr Research, the number one reason employee intranets fail is due to unclear ownership and a lack of governance. Since intranets are inherently built to connect employees across locations and functions, proper governance helps disparate functions align on the ongoing strategy that intranets execute against. 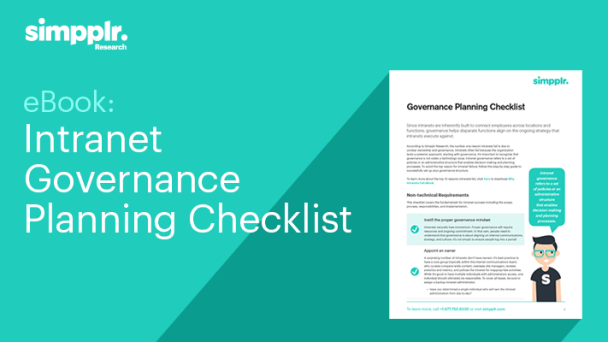 To avoid the top reason for intranet failure, follow this step-by-step intranet governance checklist to successfully set up your structure.